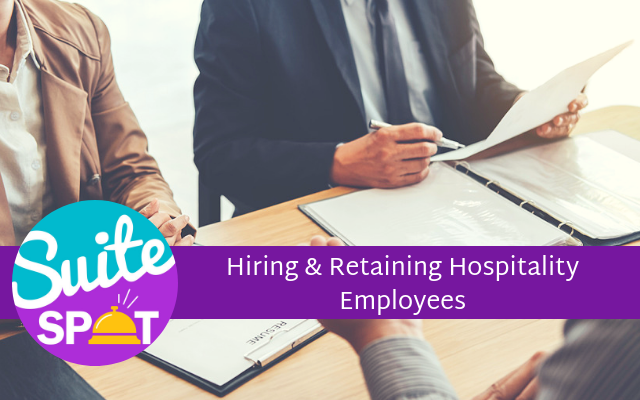 In this episode of Suite Spot, we combat one of the biggest problems facing hoteliers in 2019: recruiting and hiring quality hotel employees. In the What’s News segment, host Ryan Embree, shares some recent unemployment statistics as well as a survey of what experts in the hospitality industry feel the hotel industry needs to do to attract future employees. With historically low unemployment and an industry known for high turnover, hoteliers need to be more innovative than ever in their recruiting and hiring efforts. In the Suite Spot, Ryan shares some creative, cost-effective solutions to finding and retaining top hotel talent. If you have any feedback or tips on successful hiring practices at your hotel we would love to hear from you. You can reach us by either calling or texting us at 407-984-7455 or email us at info@travelmediagroup.com. Our podcast is produced as an audio resource. Transcripts are generated using speech recognition software and human editing and may contain errors. Before republishing quotes, we ask that you reference the audio. 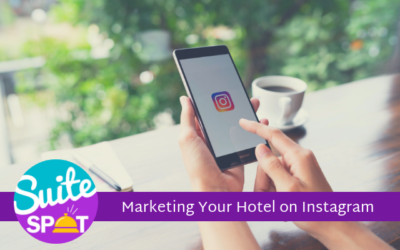 Ryan Embree: Welcome to Suite Spot where hoteliers check in and we check out what's trending in hotel marketing. I'm your host, Ryan Embree. Ryan Embree: Hello, and welcome to all of our listeners out there. This is Ryan Embree the host of Suite Spot. Got another great and exciting episode of Suite Spot coming to you live from our Travel Media Group headquarters in Maitland, Florida. 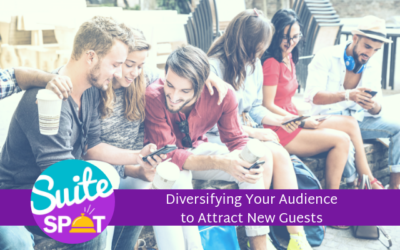 And, I am especially excited to be talking about this topic today because as hospitality experts, we travel nationwide to all of the top conferences to really dissect and examine, you know, "what are the hot topics going on in the hotel industry right now?" What's, what are going to be those trends that are going to be at the top of mind of hoteliers, so that we can do our best to facilitate you and helping you out with some of these topics. So the one topic that kept coming up, every single conference that we would attend is that of employment. So this episode today is going to be focused all around employment. Ryan Embree: How do we attract hospitality and hotel talent and not only attract them to our hotel, but how do we keep them. As we know the hotel industry is notorious for very low retention, lot of fast changing movements within, within our employees, jumping from hotel to hotel. So how do we right now in a time where unemployment is, is at a historical low, how can we keep that talent and how can we keep attracting to our talent pool to help better our business? So speaking of the employment rate, as of December 2018, the unemployment rate is down to 3.9 percent, so under 4 percent. So what is that telling employees of your hotel? Well, it's saying that there are probably a lot of employers out there that are looking for hospitality talent. So if they're not happy in their current position, they can easily switch to the next. Ryan Embree: So in our What's News today we're going to look at a survey that was done by the International Society of Hospitality Consultants and they asked more than 200 experienced hospitality professional worldwide asking what businesses in the industry need to do to attract future employees. Ryan Embree: Now, the first as you would have expected is compensation, and that was that was the top answer from those surveyed. Just under 45 percent compensation came in as the number one thing that businesses have to do in the industry to attract future employees, but they also had some other answers here within that survey that were a little surprising. Ryan Embree: Number two, not too far down at 30 percent was career advancement, benefits, flexibility, training, recruitment. These were the other answers that those that being surveyed were saying that attracts future employees. So what we're going to focus on today is for those hoteliers who might not have the wiggle room to give more compensation and they have to get creative with the way that they're attracting talent and retaining talent. Ryan Embree: When you're profit margins are so tight, what can you do to retain those employees that are asking for more compensation? 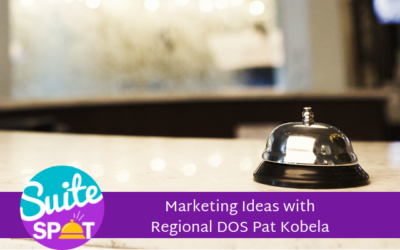 In our Suite Spot today, we're going to have a top five list of ways to get creative to attract and retain great hospitality and hotel talent. Ryan Embree: So let's go ahead and just jump right in and start with reason number one. And that is make your hotel a place where employees would actually want to work. A study from the Society for Human Resource Management, stated the top three most important job satisfaction factors are one, respectful treatment of all employees, two trust between employees and senior management, and three was compensation and pay. So you're probably wondering to yourself, "how can I show potential applicants that I treat my current employees respectfully?" Or how can I prove that trust between my current employees and myself or my management team. Ryan Embree: In the hotel industry, it's actually very easy to do so and it's done on a public forum where even your travelers are looking. A lot of potential applicants before applying to any job. Go to sites like Glassdoor that give a clear expectation of what to expect from that company. Now in the hotel industry, that's no different, but instead of going to sites like Glassdoor and hearing from other employees, applicants are going to your TripAdvisor page. They're going to your Google reviews and they're seeing what a day in the life might sound like, especially if they're at the front desk. From those reviews, they're going to be able to see, "okay, what are the issues and problems that I might be dealing with at this hotel?" How are you as a manager responding to those negative reviews? What are the great things that you and your staff are doing and where they might fit in? Ryan Embree: So, reviews give a really good sneak preview of what to expect at your hotel and if utilized the right way, you can actually use that as a tool to recruit applicants. Tell those people that are considering applying for a position at your hotel to go online. Look at your reviews, just like you're creating a strong online presence for travelers, you want to do the same with your employees or potential applicants. Having a vanity website with nice pictures, really showcasing the property that can go a long way in that applicant potentially choosing your property or the hotel down the road. I challenge you to look at your property, not through an owner or a manager's eyes, but look at it through it, through an applicant's eyes. Google your property. Look at your most recent reviews. Ask yourself, "is this a place that I would want to work?" Ryan Embree: If you're in the top half of your, your market, you're going to be more attractive to a potential applicant than someone that might feel like they're going to have to be dealing with a lot of issues and resolving a lot of problems on a daily basis. Ryan Embree: So referring back to that graph and statistic that we talked about in the What's News. The second answer that was most popular behind compensation from the 200 hospitality experts that were surveyed was career advancement. So number two is continuing education and constant training of your staff. In sports, it's very rare for a rookie to become an all star in their first season. The same is true about your new hires. You need to make sure that you're providing them with the right tools and training to transform them into an all-star employee, which might not happen right off the bat. Ryan Embree: Employees are looking for any advancement. Help them understand what impact they're having on your revenue, telling them if your business succeeds, that they will succeed and the successes that you, your hotel has, they can attach to their name for future career advancement. You want to create a positive corporate culture. If you're not training your new employees now are you having your best employee do so. You want to make sure that you're setting them up with the right tools for success in the future. The last thing that you want to do is really train an employee, get them to transform into that all-star employee and the next thing is they're swooped up by a competitor. You've put all this time and investment into that employee and then the next thing you know, they're out the door at your competition down the road. So again, make sure that you're giving them opportunities, cross-training opportunities. Any sort of career advancement is going to be very valuable in your eyes and make sure you're checking in on them so you can gauge the pulse of your staff and your corporate culture. Ryan Embree: Number three is utilize social media to leverage hiring. 15, 20 years ago you probably had lots of potential employees stop by the front desk with a resume or asking for a job application. These days that's very rare and few and far between. More and more people are now applying online. In fact, survey from the Society of Human Resource Management showed that at least 84 percent of organizations are using social media for recruitment and 9 percent more are planning on using that in the future. So that means by now 93 percent of businesses are using social media for recruiting and that means your competition is probably already doing that. And the best thing about utilizing these forums and channels like LinkedIn and Facebook and even Instagram, is they're all free. Ryan Embree: It's not costing you anything to recruit these applicants. On LinkedIn, you have tools to research individuals and see exactly what they're looking for in a potential career. Target hospitality students, there are a lot of majors out there and a lot of people who major in hospitality, myself included, that are looking to get into the business. And everyone knows that a great starting off point is a job at a hotel. You can also use your hotel's Facebook page to do some creative hiring posts, talk about your open positions, get your guests involved in sharing that to potentially fill those open needs in recruiting. 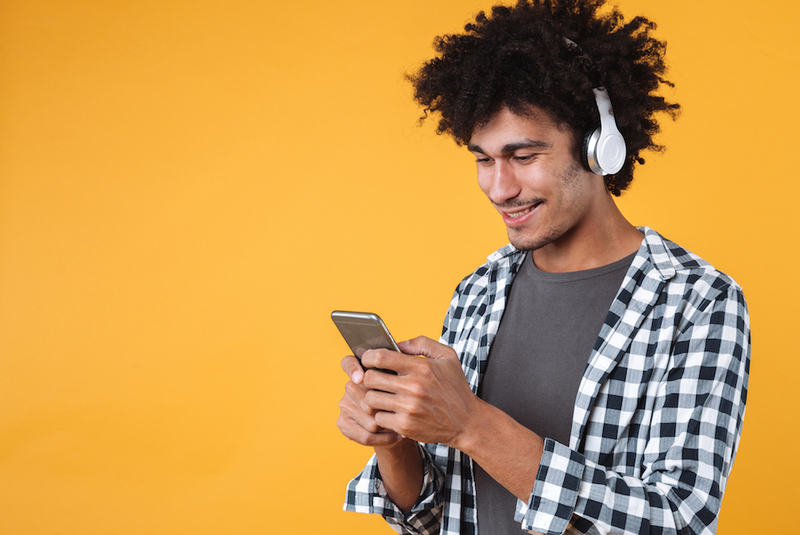 You're going to start to see more and more of these, but just as far as the future of social media when it comes to recruitment is Instagram ads as well. So utilize social media because this is the way that applicants are looking for their jobs now. Ryan Embree: Facebook actually introduced a new feature called Facebook Job Postings where you can actually go into that post, create a job description, and start to filter applicants through that post. So social media sites and forums, are making it easier and easier to recruit. If you haven't already, I challenge you, create a LinkedIn for your business. Put a Facebook post out there with your open positions and start to see how those posts are reacting. Ryan Embree: Number four is flexibility of schedule and flexibility was another top six answer in that survey conducted with the hospitality professionals when it came to recruiting for the hotel industry. I think this is critical to remember, especially in an industry that is 24/7, 365 days a year. Some applicants could be intimidated by hearing that or thinking that their work schedule is very inflexible and are really going to be working over holidays. Uh, you know, long hours into the night, which sometimes is the case. Ryan Embree: You want to make sure that you're managing your employee's schedule to make sure that one employee is not having to work all of the holidays or not having to work all of the night shifts. Talk with your employees. What would they prefer? Obviously you can't schedule everyone off at the same time, but you can make some accommodations and that goes a long way when it comes to employee satisfaction at your hotel. In the slower winter months, if you see that it's going to be a slow day, maybe have your employees get off an extra hour, or a couple hours earlier. Again, this goes a long way in employee satisfaction, but it's that constant contact with your employee, knowing their schedules, knowing their preferences to come to a common understanding to make sure that you're not blindsided. If an employee does leave and they say the reason is, is because you're not flexible with your work schedule. Ryan Embree: And number five is get creative with incentive programs. We've, we've talked about it today. The biggest motivator, as I'm sure with a lot of us is compensation. But when you don't have the ability to give raises or bonuses, what can you do? One of the really cool ways that I've heard some hotel owners or managers do is creating a rewards system when employees names are mentioned in reviews. This gives incentive to them employee, they feel like they're rewarded both intrinsically when they see that their name and they're doing a great job. But also, you know with that physical reward, whether it be monetary compensation or whether it be even time off or you know, other perks of the job. Create a current employee referral program. This is another way that you can create incentives, but also to attract really high applicants. If you want to essentially clone one of your best employees, you know, ask for a referral from them. Ryan Embree: See if there's someone that they know that's also willing to work, you know that they're going to have that work ethic. Also, brand employee incentives. This is a great way to attract and retain employees. Marriott, Hilton, IHG, Choice, all of these brands, they do a great job with having incentives when it comes to the perks that they get for those branded employees. Discounts on a hotel stays, sometimes they have some corporate partnerships with other companies where they get discounts. You want to make this very, very clear to your employees that this is part of your compensation package for working for your property. If you're an independent, that's a little bit trickier, but hopefully you've created some, you know, local business ties with restaurants or other companies for referral traffic, offer those perks that your guests are getting to your employees. Again, this might not be monetary compensation per se in their eyes, but it is a part of their compensation overall. You want to show the value of this position and everything that has to offer. Ryan Embree: So I hope you enjoyed our list, like I said, unemployment and employment is a very hot topic right now in, in 2019 and it's just going to get, just a bigger and bigger trend in the hospitality industry. So if you're out there listening and you have some tips and tricks or, have some best practices on how you retain or even attract new employees to your business, we would love to hear it. So you can reach us at 407-984-7455. You can text or call that number, and we would love to kind of hear your ideas and even put it on air. So thank you again for taking the time. Ryan Embree: As always, my name is Ryan Embree and thank you for listening to the Suite Spot. Ryan Embree: To join our loyalty program. Be sure to subscribe and give us a five-star rating on iTunes. Suite Spot is produced by Travel Media Group. Our editor is Anne Sandoval with cover art by Bary Gordon and content support by Priscilla Osorio. I'm your host, Ryan Embree, and we hope you enjoyed your stay. Read in-depth marketing ideas and important industry research. Watch our interactive webinars and sign up for future topics.